In 4-quart Dutch oven, heat oil over medium heat. 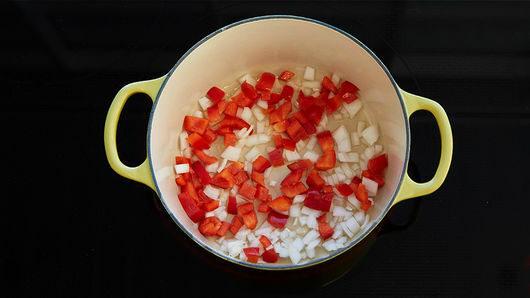 Add red bell pepper and onion; cook 3 to 5 minutes, stirring occasionally, until tender. Add diced tomatoes, broth, frozen meatballs, salt and pepper; heat to boiling. Reduce heat; cover and simmer 4 to 5 minutes or until heated through. 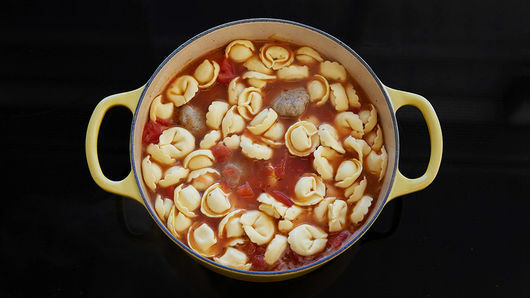 Stir in tortellini; return to simmering, and cook uncovered 4 to 5 minutes or until pasta is heated through. 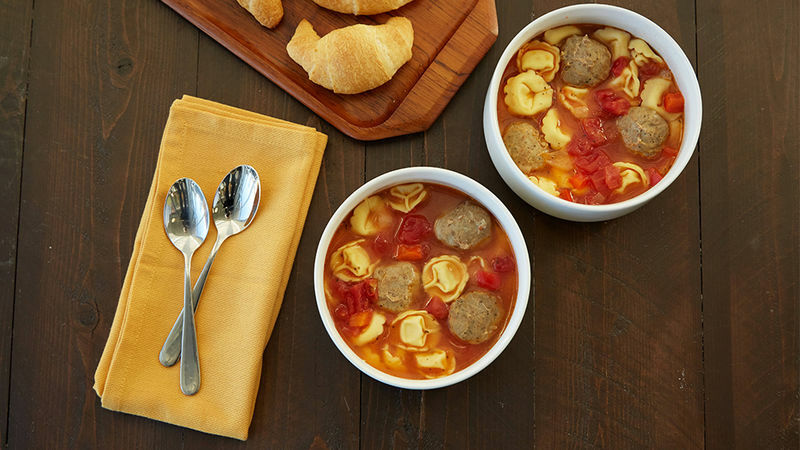 This is a hearty soup; if you prefer more broth, add an additional 1 cup chicken broth. Stir in 1/4 teaspoon crushed red pepper flakes for a little zip.